The Beady Eye rocker has hired Fiona Shackleton - who handled the former Beatles star's divorce from Heather Mills - to represent him as he looks to protect his "massive fortune". His marriage started to fall apart last month over claims he had fathered a love child with US journalist Liza Ghorbani, and he is also reportedly is love with his aide and new girlfriend Debbie Dwyther. An insider told The Sun on Sunday newspaper: "Hiring Fiona Shackleton is a huge statement of intent from Liam. "Divorce had been mentioned but until now nobody knew he would actually go through with it. Now the wheels are in motion. Nicole will be devastated. Shackleton is one of the best. "She is incredibly shrewd in the courtroom. On top of that, she represented Liam's all-time hero Paul McCartney. 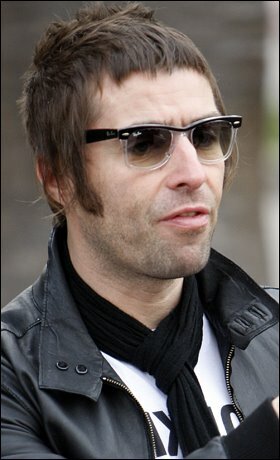 There is every chance this could turn nasty and it looks like Liam will not be giving up his massive fortune easily." It is also claimed the singer has moved quickly with preparation for divorce proceedings because of his blossoming romance with Debbie, who are said to be "completely in love". The source added: "They are 100 per cent together and completely in love. As it stands they are living in limbo, hiding away, unable to properly go public with how they feel. "But once divorce proceedings begin Debbie will feel more reassured that Liam is genuinely serious about her and they can start planning for their future together. "With that in mind he is going to sit down with his family in the next few days and tell them just how much he cares about Debbie."